Worked on a lot of different things, almost done with it :) Needs more dirt on the lantern though and a lot of flowers everywhere. 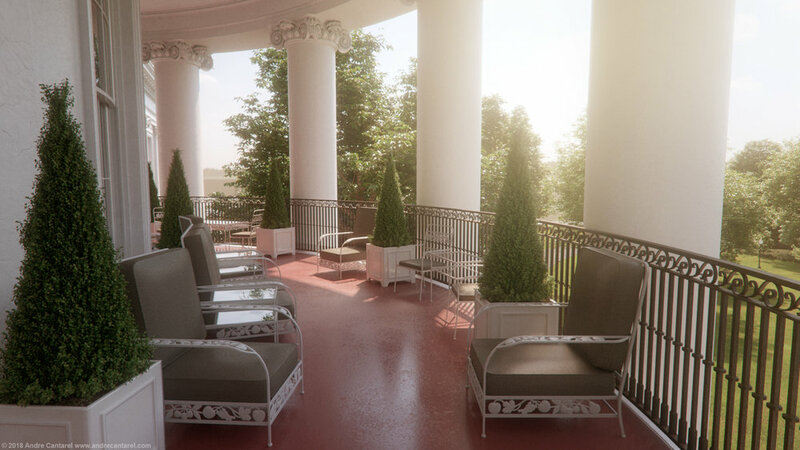 Building the White House garden from scratch with ZBrush and PFlow. Some more RnD necessary. Just a few quick ones I made in a day in 8K each for the fun of it. Started tying everything together. Tons of cables and other smaller devices. This is a weird one but it is there! I modeled and textured this Eurocopter 135 about 10 years ago on a PC with 2GB RAM. I just dusted it off, shaded and rendered it again for the fun of it. First texture test on one of the cockpit instruments. No decals yet. Working through the vast amount of cockpit instruments. All quads, non overlapping UVs. Remodeled this piece after better reference. Much cleaner an more details. After reorganizing the whole project I decided to remodel a few older parts I am not happy with anymore. Started with this cockpit thing, now onto the next one. Piece by piece all goes into a clean file. 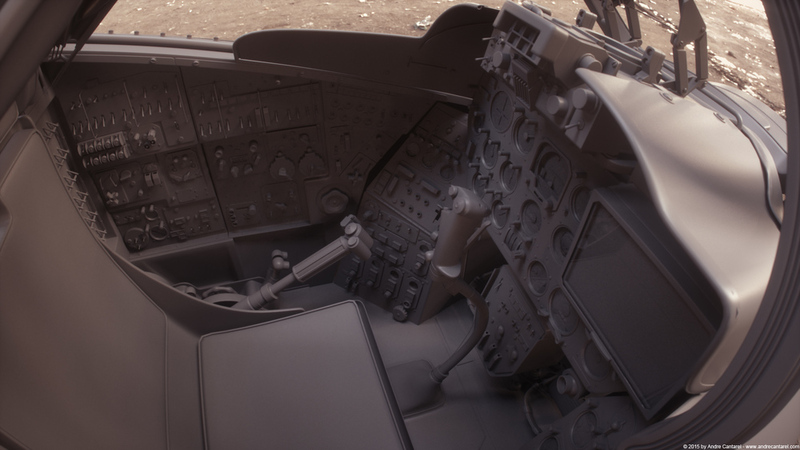 More and more texturing detail like dials and dirt. Dug out my old White House model and had some rendering fun. A quick and unplanned video showing how i texture some cockpit instruments in Mari. A lot of dials, switches and gizmos added. Second video tutorial went online. Published my very first video tutorial. A few thoughts and ideas around the Mi-24 personal project.